If you happened to be in the Dominican Republic, we hav one of the best fields in the area, the runway has 350 yards(320 meters) long, and 13 yards(12meters) wide, in asphalt. 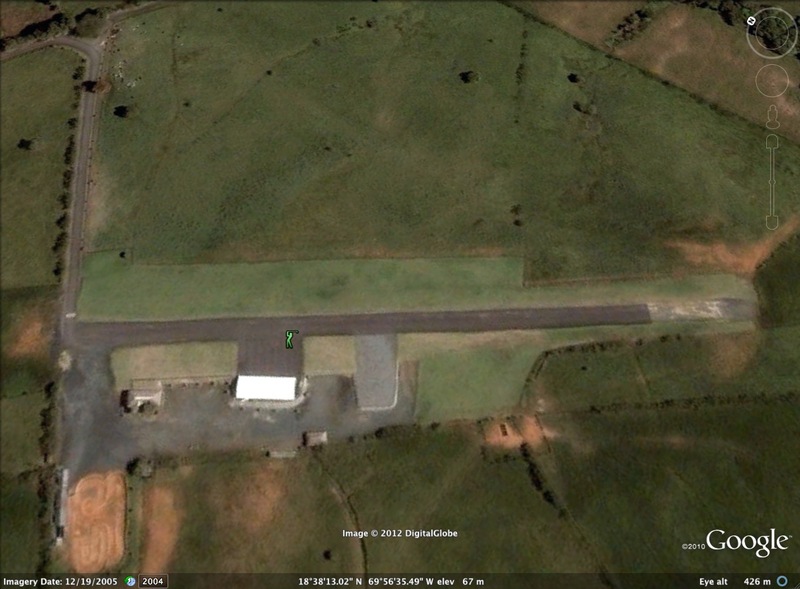 We also have a 4,090 sq ft (380 sq meters) hangar, with electricity, BBQ area, playground for kids and bathrooms. Its called Hobbyland, and its about 24 miles(38km) from the city of Santo Domingo. So, if you decide to go leave a post and I'll give you the details on how to get there. What are the regulations in Dominican Republic for radio use and flying? I plan to cone down from Canada with multirotor (2.4Ghz), FPV (1280Mhz) and telemetry (900Mhz). Will I get in trouble for use of that equipment to record some nice videos? I am no radio technician, but my guess is that you'll have problems with 900MHZ due to phone signals. I'll eventually use 433MHz for telemetry myself. I live in Ecuador by the way. Make sure you use a filter for the FPV transmitter to prevent harmonic interference. This one used in North America and is not a problem. Yes I have 1.3Ghz filter on my 1280 Mhz VTX so harmonics will not affect the 2.4 radio. My main question will it be all legal? To fly rc in Canada I maintain MAAC membership (model aeronautics) and also amateur radio license to be able to use 433 and 1280Mhz. Anything similar in Dominican Republic?